The mobile travel rate, also known as the roaming tariff, is an extra fee that must be paid by users of the Brazilian telephone system when they use their cell phones outside their DDD area. Being more specific, this means that even a simple trip to a town a little further away and within your own state can end up becoming more expensive, both when it comes to receiving and when making calls. What is the price of the mobile phone tariff? The price of the mobile travel rate varies between carriers and the type of plan that you use. There are plans that offer special rates for those who travel a lot out of their normal coverage area. Certain carriers, within areas in the same state, do not charge the roaming fee. The cost of inter-roaming roaming is between $ 1.40 to $ 1.63 per minute. Such cost must be paid by the customer when he leaves his area of ​​coverage, whether traveling to a city of different code in the same state or traveling to a different state. There is, however, no amount fixed by ANATEL for roaming charges. However, this amount must be clearly informed to the customer in his contract with the operator. Where to find the roaming tariff? The operators ‘roaming tariff can be found directly on the operators’ website, on the page dedicated to their type of plan, whether prepaid, paid post or control. What is the roaming charge for? When the Brazilian mobile telephony system began to expand, carrier coverage was much lower than it is today. And the vast majority of them covered only a certain region of the country. Thus, the moment a user of the mobile system had to transit between cities of different codes or different states, it would be necessary to use the network and infrastructure of other operators. 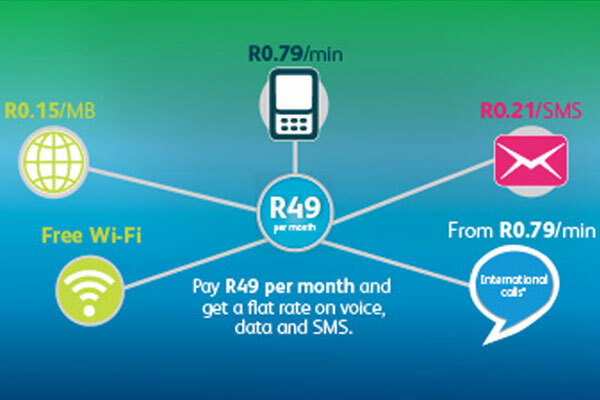 Roaming came as a way to offset the extra costs to the customer’s operator, who would have to pay the other operator for the use of the network. Only times have changed, and this is no longer the reality. Operators today, for the most part, have national coverage or subsidiaries covering much of the national territory. There is a recent movement that aims to stop this collection. However, since this travel rate is still a great source of income for the operators, it may take some time before we have an answer. Can I negotiate the mobile travel rate? It is not possible to negotiate the tariff charged when there is a change of CN (National Code), that is, when you travel from one DDD code to another . However, it is entirely possible to find a plan or carrier that offers a telephone plan with cheaper fares for travelers. Or, in cases where you have to stay a longer time away from home, it may be worthwhile to get a temporary SIM from another carrier in the area you are visiting or working on. This saves you the extra costs of roaming charges and saves you money. Suppose your telephone number is from code 11, that is, from São Paulo. If you travel to a city code 12, you may be charged a travel fare. If this person who has the code 11 phone travels to a code 21 city, that same person will have to pay for the city code shift. Have you had any surprises in your account with roaming charges ? What caused the problem? How did you do to be able to pay the bill and not have any problems with roaming?